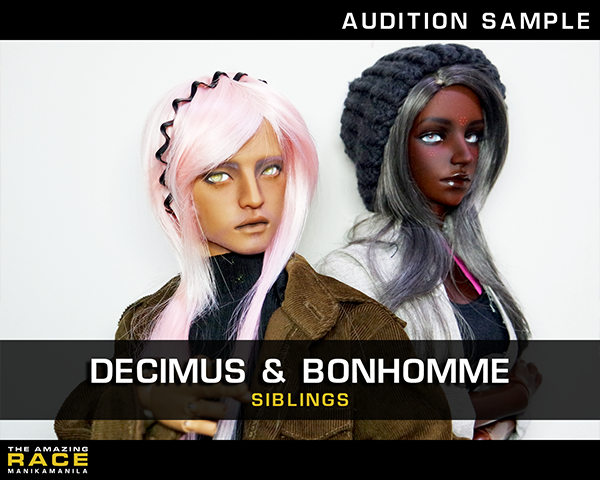 Welcome to the premiere of BJDtv, the first of what will hopefully be a series of games for BJD hobbyists, by BJD hobbyists! Launching within ManikaManila, this will be your chance to participate in games and challenges, compete against other hobbyists and get the chance to win amazing prizes! 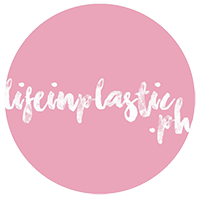 The Amazing Race, ManikaManila Edition will be your chance to send your dolls around the world (figuratively) and go on the journey of a lifetime. This is a creative contest modeled after the original amazing race, where teams of two dolls between two owners will simulate traveling to various locations across the globe to complete unique challenges to test their teamwork and creativity. While visuals are important in this contest, it is NOT a photography contest. Participants are allowed to use photoshop, editing tools, and whatever else they see fit to get the end result. Last edited by Alek on Sun Aug 21, 2016 11:29 pm, edited 5 times in total. One of the main goals of the Amazing race is to promote community involvement and interaction between members. As such, The Amazing Race is a team game, played by two participants per team. This is a ManikaManila contest. Only members of the ManikaManila forum are allowed to enter. Teams are made up of two dolls of two different owners. Teammates are not required to be in the same location. Collaboration between people regardless of distance and proximity is encouraged. Why they you think they can win the Amazing race. A half-body shot of both dolls together that will be used for the roster. Deadline for forming teams and submitting your Team Intro is October 9, Sunday, at 11:59PM. Send all entries to: alek.weber@yahoo.com with the subject 'AMAZING RACE - TEAM INTRO'. Last edited by Alek on Sun Sep 18, 2016 2:57 pm, edited 12 times in total. Like all contests, the Challenges is at the center of the competition. In The Amazing Race, your dolls will be figuratively traveling all over the world, taking part in the destination's culture and traditions. Throughout the contest, teams will be given destinations ang challenges which they are going to have to show themselves completing in order to advance through the game. Each round, teams will be given roughly 2 weeks to complete the two given challenges per pitstop. Teams must be visually shown performing the task. Output for the challenges must be primarily visual through photos or a photostory, but participants may submit a short story or writeup to accompany the visuals. Both dolls must be depicted as participating in the challenges in one way or another. Photos can show the contestants getting ready for the challenge, actually performing the challenge or reacting to having finished the challenge. Other dolls who are not included in the team may be featured in your entry, but cannot be shown as the ones completing the task. Teams are freely allowed to photo-manipulate their images as they wish. Photoshopping the two participating dolls together is more than acceptable and is encouraged over having the teams do the two challenges separately. To see a sample Challenge & Entry, click here. Last edited by Alek on Sun Sep 18, 2016 2:33 pm, edited 3 times in total. While we want everyone to have as much fun as possible, in order for someone to win, there must be those who unfortunately lose. The Amazing Race will be a game played in multiple rounds with contestants eliminated after each round. Each round, there will be eliminations of the lowest scoring teams, ranked based on the judging guidelines. Teams who fail to submit are automatically given a score of 0. Incomplete submissions (such as only completing one of the two challenges, or only including one of the two dolls) will be accepted, but can only score a maximum of 50%. The teams with the lowest scores depending on the number of people needed to advance will be eliminated. If you have survived Eliminations and made it to the last round, Here's what you can expect from the last leg of the race. The last round will be played between the last remaining 5 teams*. There will only be one challenge in the last round, but in addition to completing the challenge, the last remaining teams must submit a “Victory” image, depicting their team winning the race. In case of a tie, Scores accumulated from round 1-4 will carry to the final round as bonus points. *The number of teams in the final is subject to change, depending on the total number of participants in the race. Last edited by Alek on Sun Aug 21, 2016 5:25 pm, edited 2 times in total. Otherwise known as creativity. This is how much imagination you put into answering the challenge. Is your entry unique? Did the way you answer the challenge stand out? The more you think out the box and the better you do in this category. 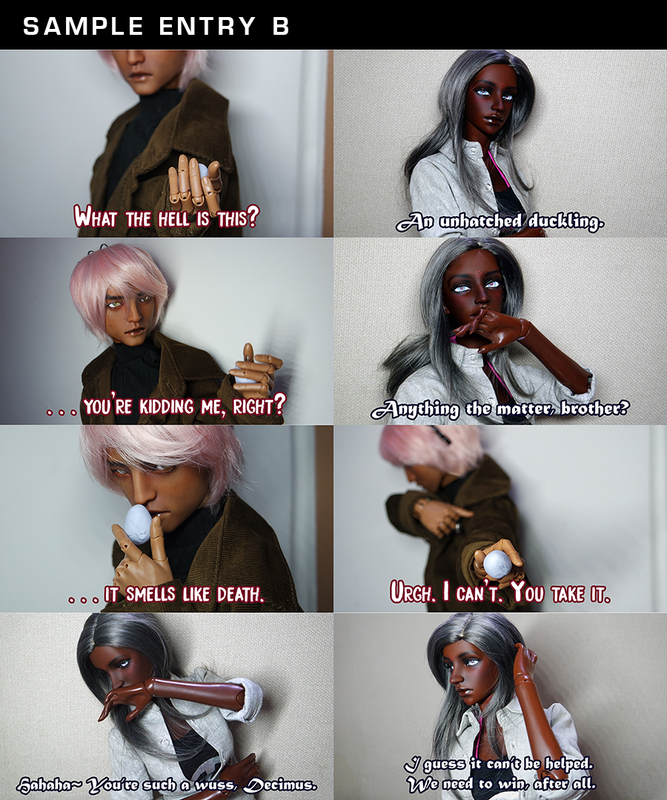 While we understand it is more likely that you will not be able to shoot together, we value the effort put into making it look like both dolls are partaking in the challenge equally or even helping each other out in the challenges. Otherwise known as technical skills. Though the smallest component, you are still rewarded for how well you compose and render your photo. Storytelling is also encouraged and you are awarded more points for a well executed narrative. How well do you depict the location the challenge is located in in your entry? Would someone be able to tell where in the world your characters are just by looking at the background? The better you depict the scene, the more you're rewarded. BJDtv could not pull this off without the help of ManikaManila and it's amazing mods. As such, in addition to myself, you can count on your friendly community mods to help judge the competition. Thank you to Nix, Kass, Kuri, Trisha & Tin. Last edited by Alek on Sun Sep 18, 2016 2:22 pm, edited 4 times in total. The winning team will receive the grand prize of their choice of one complete outfit from taobao for each member, collectively worth 500RMB. BJDtv will cover all fees and expenses that may be incurred importing the prize. The winning team will receive the grand prize of their choice of one complete outfit from taobao for each member, collectively worth 200RMB. BJDtv will cover all fees and expenses that may be incurred importing the prize. More Prizes to be announced later. The Amazing Race is open to accepting Sponsorships for Prizes for the winners. 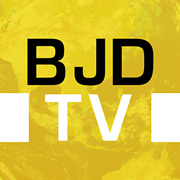 Sponsors will be publicized on BJDtv accounts as well as within the game itself. Sponsors are also welcome to join the judging panel, but all Sponsors are prohibited from joining the game. Last edited by Alek on Sun Sep 18, 2016 2:34 pm, edited 6 times in total. Last edited by Alek on Sun Sep 18, 2016 2:17 pm, edited 2 times in total. 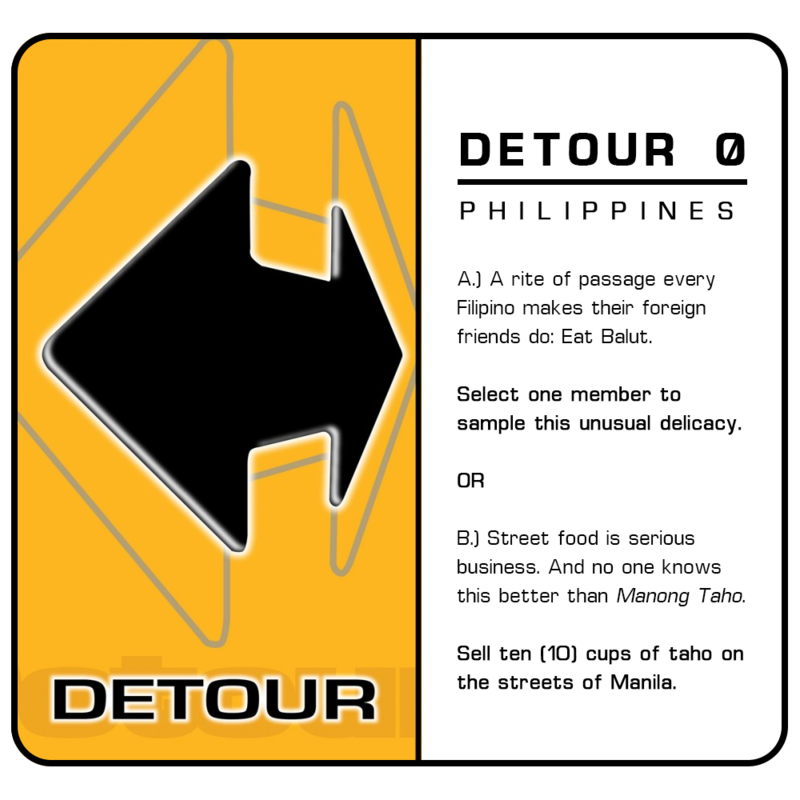 Each round, teams will be given a Detour Card for that Leg of the race. The Detour Card will contain two challenges that teams must choose between. As stated in the previous section, all entries can depict the teams before, during or after "Acting out" the challenge. Here are two sample entries, both depicting two different ways of completing Challenge A and how they might be scored. If these two entries were to be compared, the first entry would have scored higher and more likely to advance. Last edited by Alek on Sun Sep 18, 2016 2:43 pm, edited 4 times in total.